Sports cease to be white! With the arrival of warm temperatures, it is not necessary to give up the comfortable shoes. If you're a faithful follower of sports shoes, shoes Rosi will find the choice that more goes with you. Sometimes happens: we like sports for your comfort, but not so excessively sport designs. 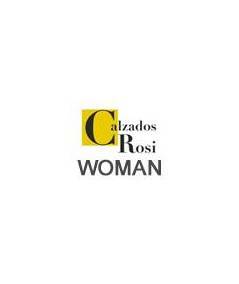 Calzados Rosi will find designs of sport shoes that you were looking for. this model is available in a single grey Pearl, taped skin and with a slightly matte finish. A perfect color to combine in your day to day. soft leather beef with engraving, combined with imitation of grid design produced in skin. Comfort and trend key. With half lining and the area of the CAP in the textile, for a greater softness and freshness in summer. The template is very comfortable, padded leather to be used throughout the day. Ensure cords satisfy safety keep the subject and perfect feet to walk all day if required. Has wide and very comfortable, rounded toe and what moves the fingers and offers greater sense of comfort. The sole is ultra light rubber, ivory and with rugged, very flexible and completely non-slip finish. Account with a small wedge of 3.5 cm and a 1.5 cm platform. sports and casual style becomes a hole in our spring summer outfits, and is perfect to take advantage these days and make tourism or simply enjoy the day to day with guaranteed comfort. What do you want to do this holidays? Beach, mountain, rural house or stay in the city and enjoy the empty spaces that summer brings.